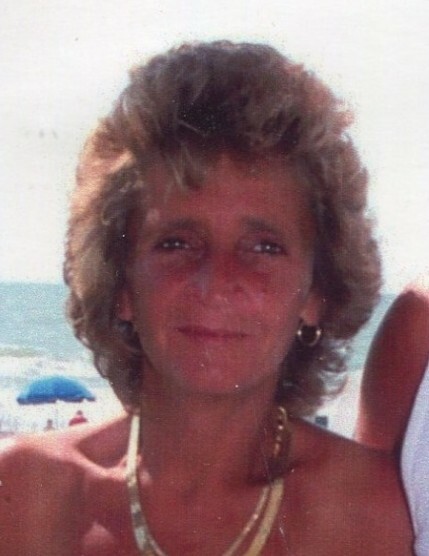 Melody Ann (Jarvis) Morgan, 57, of Wellston, passed away on Sunday, June 10, 2018, in Hilton Head, South Carolina while on vacation with her family. She was born on September 28, 1960, in Wellston, Ohio, daughter of the late Alice (Jarvis) Lambert and Calvin Lambert, who survives. Melody was a wonderful wife, mom, and grandma who enjoyed traveling, the beach, and spending time with her kids and grandkids. She could often be found shopping various yard sales, never letting a great deal pass her by. When it was time for the “Steve Wilkos” show to come on, however, all shopping ceased, and she promptly returned home ensuring she didn’t miss one minute of the show. When she wasn’t watching Steve Wilkos, she could be found viewing Dateline or 20/20. Another favorite was anything on the Investigation Discovery network. In fact, she watched so much on the ID channel she was practically an advanced detective who could solve almost any murder mystery. Melody’s softer side could be revealed in her love for the Lifetime Movie network, always having her daughter-in-law record any new movies that aired. While Melody could be outspoken at times, she was constantly putting others before herself. She dearly loved her family and would go without to make sure they did not. She will be greatly missed by many. In addition to her father, Melody is survived by her husband, Dwayne Morgan; son, Josh (Nicole) Morgan; daughters, Christy (Jay) Williams, Jenny (David) Swisher, and Jody Morgan (Larry Whetstone); 11 grandchildren: Tisha, Hannah, Nathan, Makayla, Talan, Rylan, Miley, Izzy, Dustin, Remington, and Rhett; brothers, Paul Jarvis and Lee Lambert; sister, Melinda (Jim) Harmon; as well as several nieces and nephews. A funeral service celebrating Melody’s life will be held at 1:00 p.m. on Friday, June 15, 2018, in the chapel of R.M. Williams Funeral Service, 120 W. Broadway St., Wellston. Burial will follow in Salem Cemetery. The family will receive friends at the Funeral Home on Thursday, June 14, 2018, from 4 to 8 p.m. Please visit www.rmwilliamsfuneralservice.com leave a message of comfort, encouragement, or condolence to the family or to view Melody’s online video tribute. R.M. Williams Funeral Service, Wellston, is honored to care for the Morgan Family.